Remember that time I studied abroad in Europe, then posted blogs about my adventures in London and Paris? 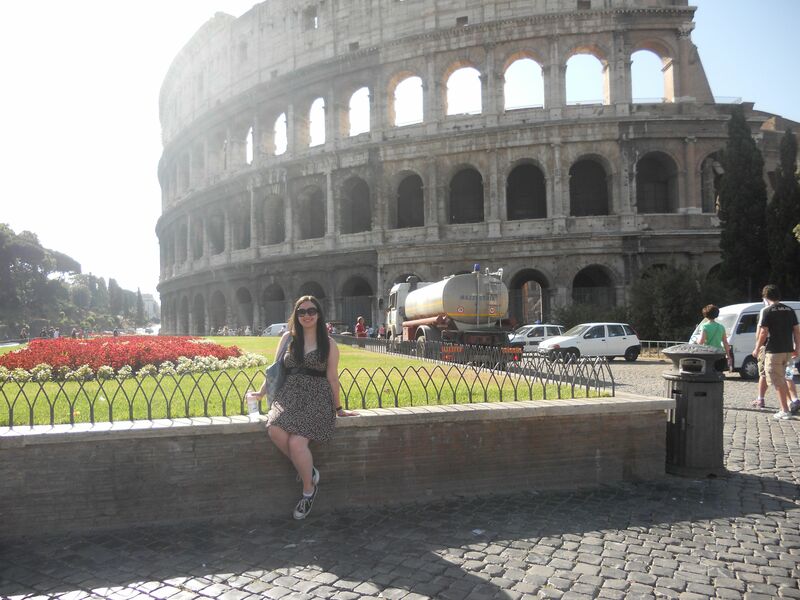 During that time, my group and I also enjoyed a brief Roman Holiday! (Saying that makes me feel so much like Audrey Hepburn.) The last few days of our trip took place in Rome, Italy, a city rich with history, culture and delicious food. 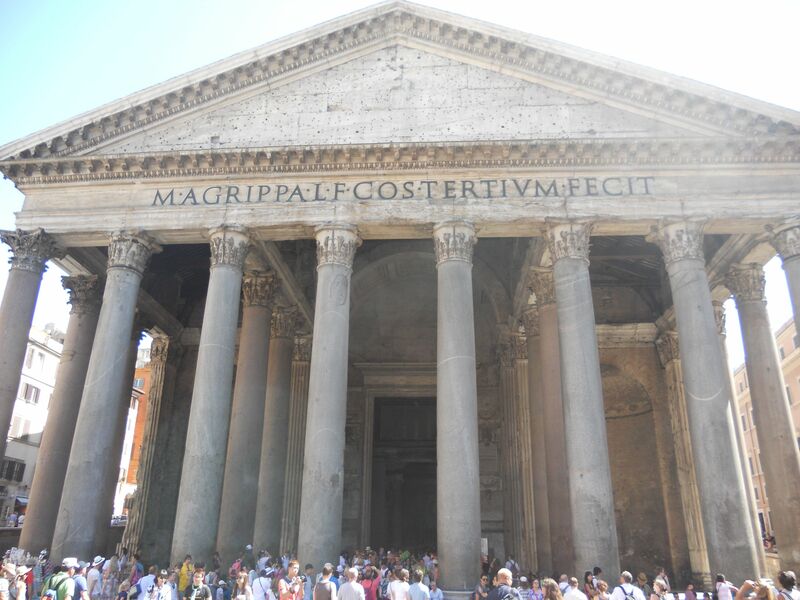 Although we didn’t spend nearly as much time in Rome as we did in London and Paris, I still had some memorable experiences that I will share with you! I have my minor in Hospitality Management, so of course I’d look at the Colosseum as the ultimate event venue. (Yes, that’s me in the picture.) Although it was not my first time visiting the Colosseum, I had a newfound appreciation for this arena as I thought about all that took place there in ancient times. The Colosseum is one of Rome’s most recognizable icons, and definitely worth a visit for anyone making the trip to Rome. You can take a self-guided tour and admire the Colosseum from different vantage points. 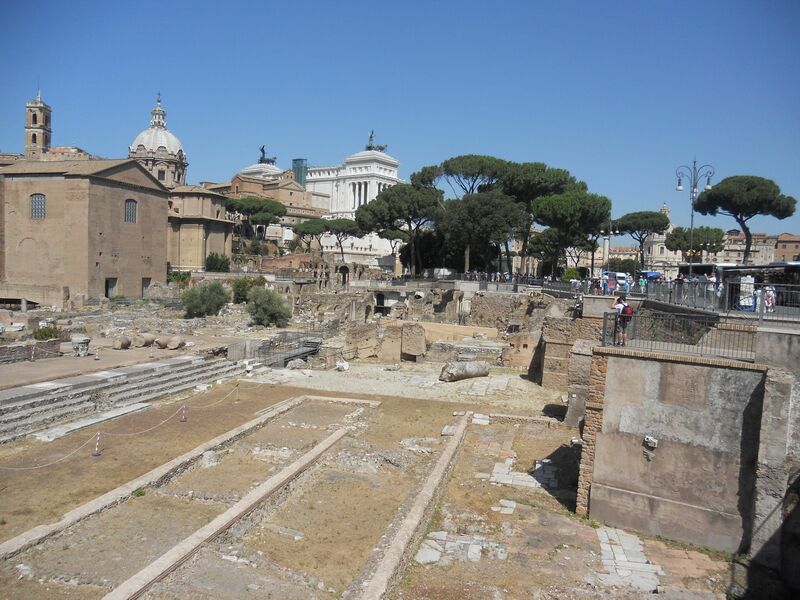 Walk through the ruins of the Roman Forum, the plaza where Romans met to exchange goods, deliver public speeches, and much more. The Forum is located near the Colosseum and is even home to Julius Caesar’s memorial site. As you enter the Forum, think about how it must have looked in its prime, and visualize yourself in this once-bustling city center! Because of the proximity of these two sites, I would suggest visiting one right after the other — preferably early in the day, before it gets too hot! 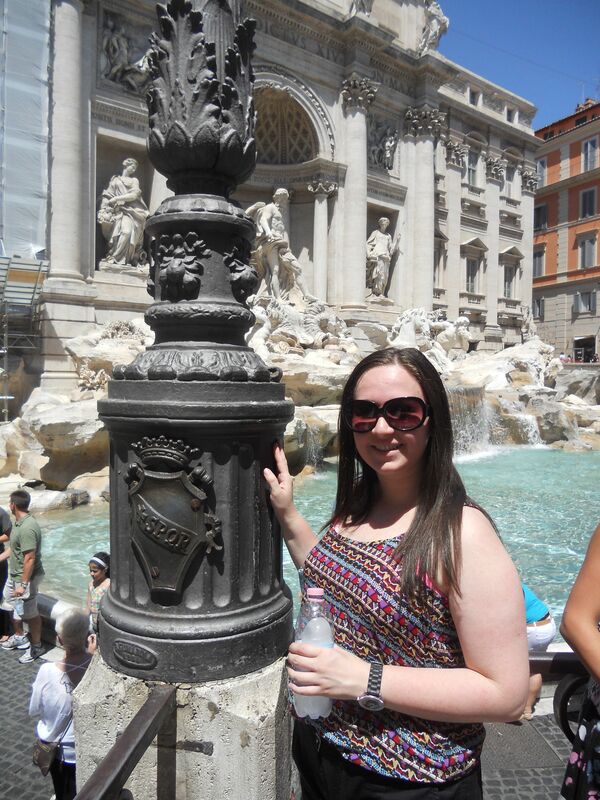 Toss a coin over your shoulder into the Trevi Fountain and make a wish! Legend has it that by throwing a coin into the water, you will be guaranteed a return trip to Rome. Regardless of whether or not you do decide to come back someday, visiting the Trevi Fountain is definitely a worthwhile experience if not for its beautiful architecture alone. I have been to the Fountain twice — once in the evening, and once in the early afternoon, but after my second visit, I would suggest going early. However, no matter when you decide to go, be sure to watch closely over all of your belongings — my classmates and I had to be especially careful about pickpockets in areas like this. The Trevi Fountain is beautiful, but it can also be overwhelmingly crowded, so keep an eye out while you take pictures and hold on tight to your bags. I’d be lying if I said that the Italian cuisine wasn’t one of the trip’s highlights. Everyone raves about gelato when they visit Rome, so I thought I’d mention my favorite gelato place, Gelateria della Palma. (See here!) The place was filled to the brim with tourists, but it had more than 150 flavors to choose from, and was a great end to my trip. This gelato shop is located near the Pantheon, and is a wonderful way to cool down in the summer heat. My flavors of choice? A scoop of chocolate and a scoop of stracciatella (kind of like chocolate chip). 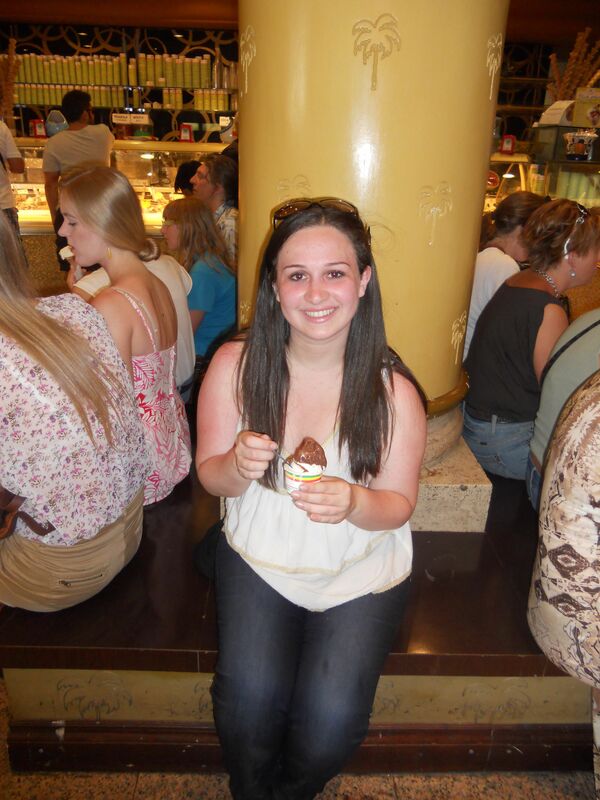 My classmates and I definitely didn’t shy away from the gelato while we were here, but this shop was by far the best! Other notable visits included the Vatican, Piazza Navona, Vitti (a restaurant with the most delicious food, best service and cutest waiters throughout our entire time there), and the Spanish Steps. To my readers: What do you want to do when you go to Rome? If you have already been, what sites do you suggest for visitors? I would love to go to Rome! I’m really hoping I’ll be able to study abroad this summer, although I’m not sure where I want to go yet. There’re so many choices! Let me know what you end up deciding 🙂 I’m doing a Freshman 15 for studying abroad later this year!